Greetings Actors and Filmmakers!! Auditions for the feature film promo for Peace Among Black Hills will be taking place Tuesday, May 17th starting at 4pm at the Planted Roots Productions office in Sandpoint, ID which is located at 301 N. 1st Avenue, in suite #207 on the second floor (Across from the Panida Theater, above Finan Mc Donald clothing store). More details below. San Francisco, CA, 1890, One Star thinks it’s too busy, too loud and too dirty, just like every town she has seen since she escaped the Carlisle Institute for Indians. But tomorrow her and her gang of misfit girls will be on their way to starting their own cattle ranch in Montana, where the hills are quiet and calm. One Star pats her mare on the neck and looks out over the noisy city, then out of nowhere… Is that really his voice? Location: 301 N First Ave #207, Sandpoint ID. Please be prepared to read sides with current cast, and to change/walk to separate location for photos. On-street parking available on all main streets. (2 hour parking limit ends at 6pm). Please dress in Casual Business Attire that is appropriate for photos. Casting for the promo is currently unpaid and for PROMO ONLY, with the possibility of becoming a permanent, paid role in the feature, depending on performance and availability. We will plan on providing costumes for MAIN CAST. All Ranch Hands/Extras will need to provide/make/rent an era appropriate costume. Costumes will need to be approved in advance so emailing a photo of your costume or bringing your costume to rehearsal will be important. If you are interested in auditioning, please RSVP which character(s) you are interested in via email at plantedrootsproductions@gmail.com to receive Sides, NDA+Likeness release and further instructions…. PLEASE BRING your resume and a head-shot to auditions also! NDA must be signed to receive sides!! 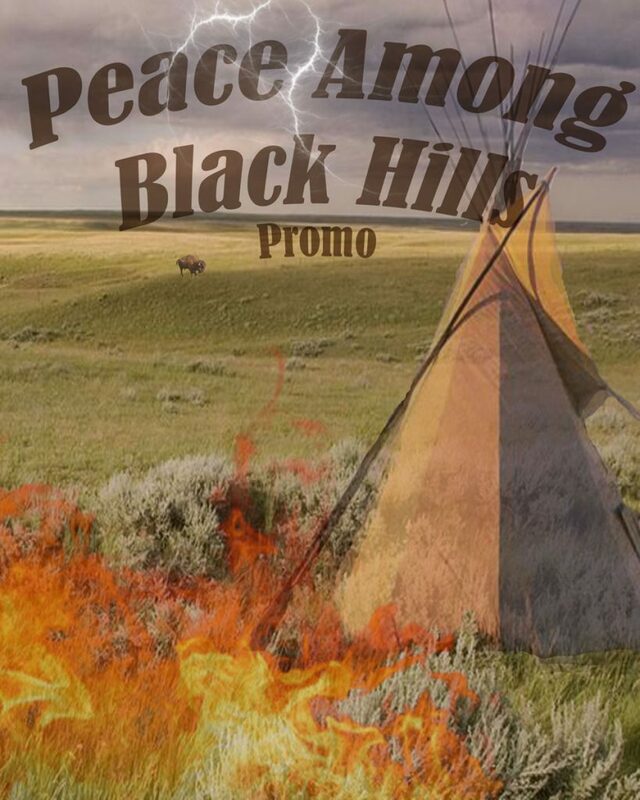 Peace Among Black Hills is a story of love, loss, and overcoming treacherous hardship and discrimination during the war with the Plains Indians of the North West. One Star and Jacob were born on opposite sides of the same coin, as “half breeds”. An early act of compassion brings them together as children, but the war raging around them tears them apart. In order to be together, they will have to overcome miles and years of separation when One Star is taken to the Carlisle Institute in Pennsylvania. After years at the Institute, One Star and her best friend, Melody, escape the Institute and return to Jacob’s ranch, only to find him gone. One Star and Melody decide to explore their world and leave love behind them when Jacob does not return to his childhood home. They experience the hardships of the land, and collect a band of other Misfit girls along the way. After realizing that none of them fit in with the civilization the world deems “Proper”, the girls make their way to a better life raising cattle in Montana. 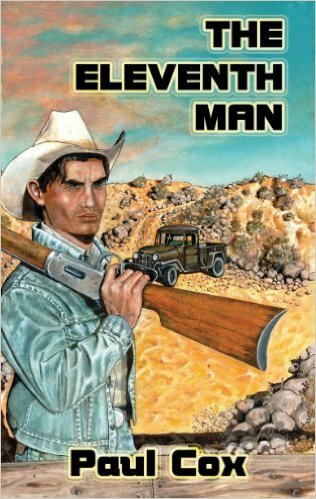 Along the way they encounter a series of unfortunate mishaps, the worst of which is the accidental death of the Silver City Sheriffs father in New Mexico, which One Star is blamed for. The girls begin a hasty escape north to San Francisco, where they meet up with an equally misfit bunch of boys that agree to help them drive the cattle, and low and behold, one of the young boys is the long lost love, Jacob. But the Silver City Sheriff is hot on their trail. Now that the group is complete, they must begin the treacherous journey north, through Oregon and Idaho, encountering every beautiful piece of country, and every rough part as well. They must try to reach Montana without being shot, trampled, captured by the Sheriff, or caught up by winter with 300 head of cattle in tow. Its “Young Guns” meets “Dances with Wolves” with the perfect mix of true history and make believe, shining light on the amazing and gritty history of the Pacific Northwest. Melody was taken to the Carlisle Institute as an orphaned teenager when her family was killed by disease on the trail to California. Melody is unruly and hates authority. She is completely dedicated to One Star, like a sister, and is likewise dedicated to the rest of the group. To her, they are the family she lost. Melody is extremely confident, mentally strong and physically tough. She is sarcastic, witty and generally pretty positive even when things aren’t going well. Jane is the Baby of the group. She was raised by an old rancher (Uncle Ian), until being adopted by Ian’s female friend and joining the local San Antonio whore house. Jane is extremely feminine, dainty, very beautiful, and often times clueless to the real ways of the world. Her world consists of pretty Dresses, Bustles, Corsets, Dreams of true love and singing pretty songs. Winnie was sold to the San Antonio whore house as a slave, but she quickly becomes family to Kate and Jane. Winnie spends her free time reading, playing music, singing and dancing. She is young, beautiful and extremely tough. She is determined not to be treated or seen as a slave. She happily joins the group of girls and adopts them as her family, knowing that they will always treat her as an equal, and that they will take her north to freedom and independence. Jacob was born and raised on his family’s ranch in Castle Creek, SD. Jacob is half Lakota, Half English, and his Lakota mother died in child birth. Jacob is completely dedicated to One Star. He would protect her with his life, even if he is too shy to tell her right away. Jacob is strong, physically fit, and is a very observant person. He frequently shows intense emotions with a glance. Jesse is Jacobs best friend. Jesse is young, funny, enthusiastic, kind, and sometimes bashful but generally only in front of Jane (hint hint). Jesse is the Nephew of Ian and Mathew and was raised in the cattle business before joining the Cavalry, only to be kicked out for refusing to harm innocent Native Americans. Wyatt is the muscle. He is quiet, observant, intelligent and extremely strong. Buff, even. Wyatt is always the first to bet on a fight, as well as join in a fight to defend his friends. He is extremely muscular and attractive, and very charming, when he chooses to speak. Ranch Hands will be assisting in driving cattle, so skills on horseback are a must. Ranch Hands and Extras will also be present for dancing/shindig/Bonfire scene.. Dancing, drinking, laughing, having a good time. Musicians needed for the Bonfire/Shindig scene. To play traditional 1800’s style western music for the large group dancing, drinking, socializing and eating. Anyone members have a relationship with the local band/group the “Shook Twins”???? If so, We would love to contact them about being the musicians/singers at the Bonfire/Shindig and would be interested in featuring one of their songs for the promo…. 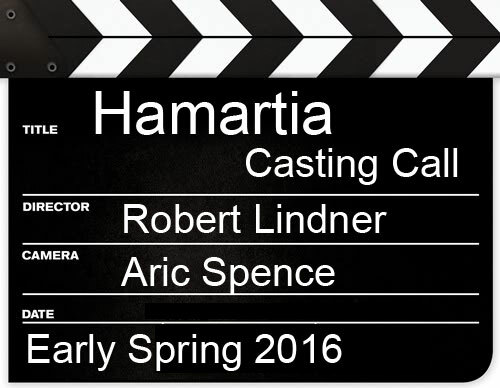 We have not set filming dates yet, but are looking at dates in either July/August/September 2016. Dates will depend on cast/crew availability. We WILL be doing rehearsals for this Promo, likely on location or at a similar outdoor location. 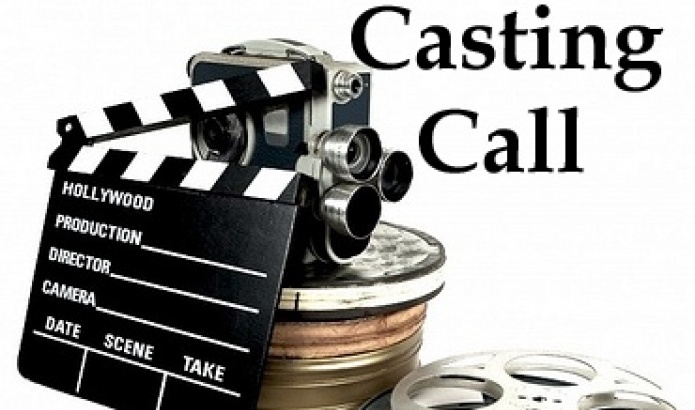 Main female cast will need to be available for a photo shoot at the end of May/beginning of June in Sandpoint, ID. Hello Sandpoint Filmmaker Actors! 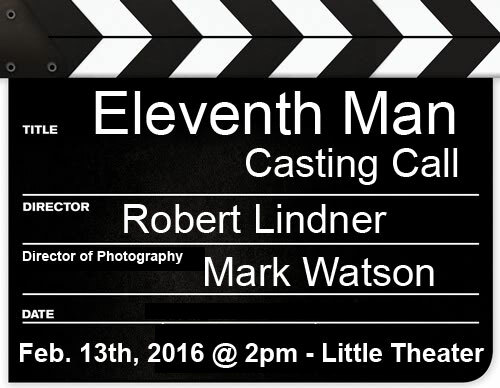 I would like to invite you to auditions for the Promo Film for “The Eleventh Man”. Auditions will be held at the Little Panida Theater in Sandpoint Idaho on February 13th at 2:00 PM. The casting call happens to be right after our monthly SFN meeting. We will have actors read for the roles of Kimberly, Jason, Matty, Giz, Digger and Old Men 1-3. Please take a look at pages 4-9 (The promo scenes) from the script for the auditions and let me know as soon as possible if you will be there and/or if you have any questions. Thanks in advance for your interest in “The Eleventh Man”, and we look forward to seeing you in person on February 13th! Short summary: After a devastating loss, a paramedic leaves his life in the city for a fresh start in the country. Instincts and morals push him to fight when a new evil puts his life and fledgling happiness into danger. Jason – lead character, male, 25-35 y/o, muscular, handsome (not pretty), withdrawn, quiet, polite: recovering from his wife’s death the previous year, Jason has chosen to live in seclusion, he is from the city but trying to learn how to raise cattle. Kimberly – lead female, 25-35 y/o, trim, attractive, single, businesslike, runs a cattle ranch with common border to Jason’s small ranch, her initial sympathy for Jason turns to attraction. Bob – male, 25-35 y/o, big, heavy-set, county sheriff, bully-type, arrogant; assumes he and Kimberly are a couple, becomes jealous of Jason and Kimberly’s budding friendship. Giz – male, 55-65 y/o, sedate body type, runs the local hardware store and has a following of local men his age that congregate in the hardware store to gossip, an unofficial mayor-type, well-meaning, full of information and self-assured his opinions are fact. Morgan – male, 70’s, weather-beaten, feisty, old-school, tough, no-nonsense type. Hello, My fellow story-tellers! I am seeking actors, a grip and 1st AC (preferably) familiar with magic lantern on the Canon 60d for the following project ::: Filming will occur in early spring (when mornings and nights are still cold enough to see your breath) in Cocolalla, Id. Hamartia: A Covert Agent worn from active duty quits and returns home only to find that her mind cannot release her former life and choices. Trying to live peaceably with her family and children is further complicated when she is forced to return to service, leaving her children in the hands of another woman with her own motives. KINGPIN: A Man or Woman with a regime and the means and character to bend it’s membership to his/her fanciful and destructive power-trips, he/she sees the world and it’s contents as a means to his/her own perfect purpose. Age: 25 and Up. SFN member Amanda Steen asked if I would post this Casting Call on the the SFN website and notify our members of the opportunity. Full details below. “Burn” tells the story of Betty, a woman haunted by the man who emotionally abused her. A traumatic event separates her physically from her tormentor, but her mind refuses to let him go. Betty must find the strength to move forward, before the ghosts of her past consume her. Betty is a wounded soul with an inner strength that is aching to come out. She has been tormented for so long that she isn’t sure the woman she used to be still exists. With the help of a new friend, she starts to recognize the powerful female within. Bear is a nasty emotional abuser. He has very little self esteem and tries to control Betty to make himself feel better. His wickedness starts to escalate as Betty becomes stronger, and more able to let him go. Ann is Betty’s best friend. She hasn’t seen Betty for a very long time. Her friend has been hiding herself away and Ann has been very worried about her. She has some pretty sweet tattoos and the local general store clerk takes notice of one in particular: A cover tattoo done by a local artist. She is proud of the work done and willing to show it off. [TATTOO ARTIST] [GENDER: FEMALE] [AGE: 20-40] [FEATURED EXTRA] Works at the local shop where Betty gets her tattoo. Interacts with Betty briefly as she sits, waiting for her date to arrive. [BICYCLIST] [GENDER: MALE\FEMALE] [AGE: 20-40] [FEATURED EXTRA] Rides passed Betty and interacts briefly with the MAN as he\she rides by.